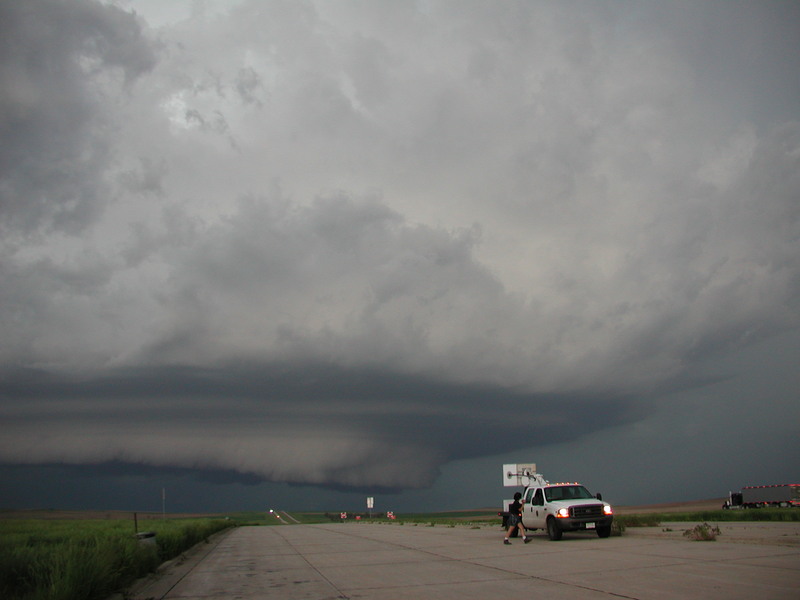 A simple definition for a supercell would be: a thunderstorm with a deep persistent rotating updraft (mesocyclone). This rotation of the storm is the major difference between supercells and multicell storms. Supercells are rare, but are responsible for most severe weather events – especially tornadoes. 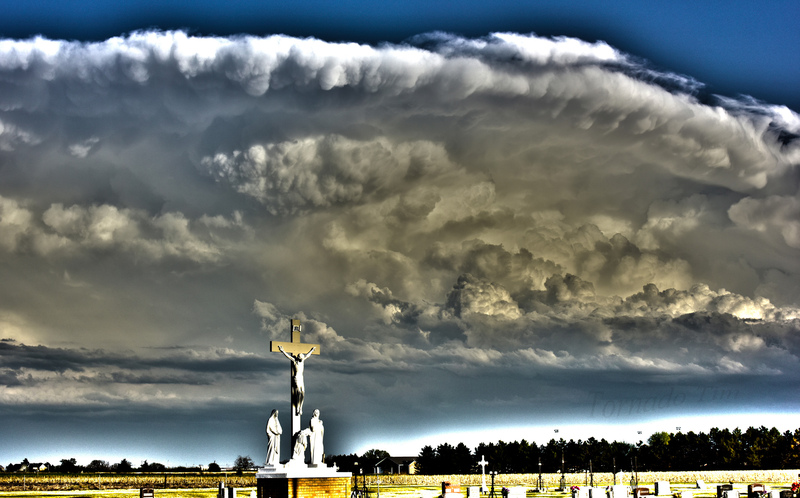 Very large hail and damaging straight-line winds are also created by supercells. Supercells tend to travel to the right of the main steering winds which chasers call right movers. Chasers may also talk of HP storms(high precipitation) and LP storms(Low Precipitation) which are varieties of storms, but whether or not they qualify as a supercell is dependent on them having this deep persistent rotating updraft. Supercell Thunderstorm is potentially the most dangerous of the convective storm types. 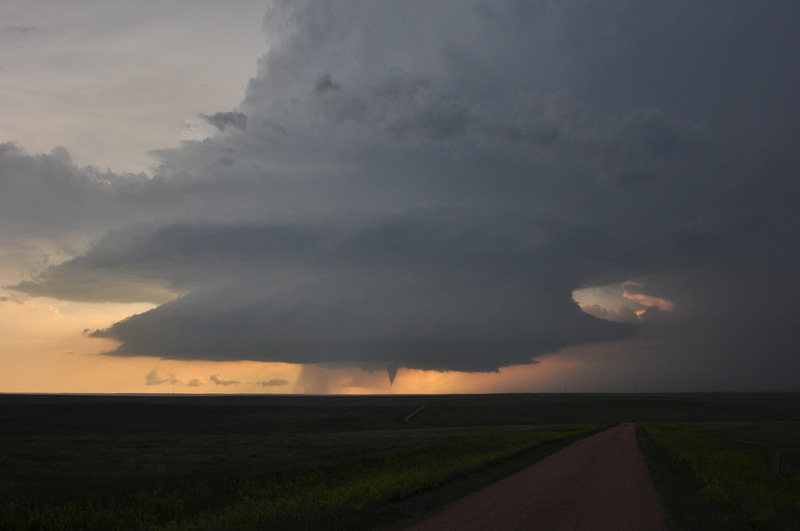 Storms possessing this structure have been observed to generate the vast majority of long-lived strong and violent (F2-F5) tornadoes, as well as downburst damage and large hail. 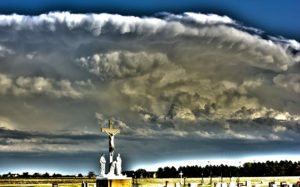 It is defined as a thunderstorm consisting of one quasi-steady to rotating updraft which may exist for several hours. Supercells usually move to the right of the mean wind. These are called “Right Movers” and they are favored with veering winds. Occasionally, these thunderstorms will move to the left of the mean wind. These thunderstorms are called “Left Movers”. These supercells typically don’t last as long as their “Right Mover” cousins and they usually only produce large hail (greater than 3/4 inch in diameter) and severe wind gusts in the excess of 58 miles an hour. Left Movers are favored when you have backing winds. Here are a video to demonstrate to you how a storm spins. Read Tornado Tim’s newest book. It’s a thrilling and heartwarming story, this novel follows Tornado Tim’s connection to tornadoes and the adventures of the chase. Journey with Tornado Tim as you learn about his deep connection with tornadoes from childhood and how this connection earned him his notable name. Along the way, you will experience the thrill of the chase and the challenges every chaser faces. During these adventures, Tornado Tim partners with a girl named Sarah to work on a joint project. Going from lone chaser to sharing his journey with another provides unique challenges. As they both learn to adapt to life together, the reader sees their growth as they encounter life on the edge. Based on real life experiences, this fictional novel takes you along for the ride of a lifetime.